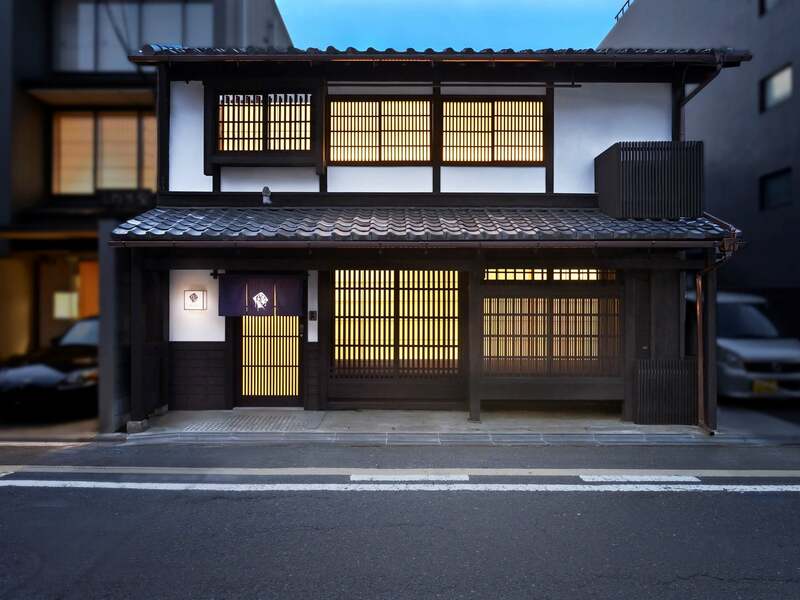 A traditional machiya townhouse has been renovated into a new inn called Fuyacho Nijo which is set to open in the Goshominami area of Kyoto on March 30, 2019. Fuyacho Nijo is the fourth Kyo no Ondokoro inn created by Wacoal. 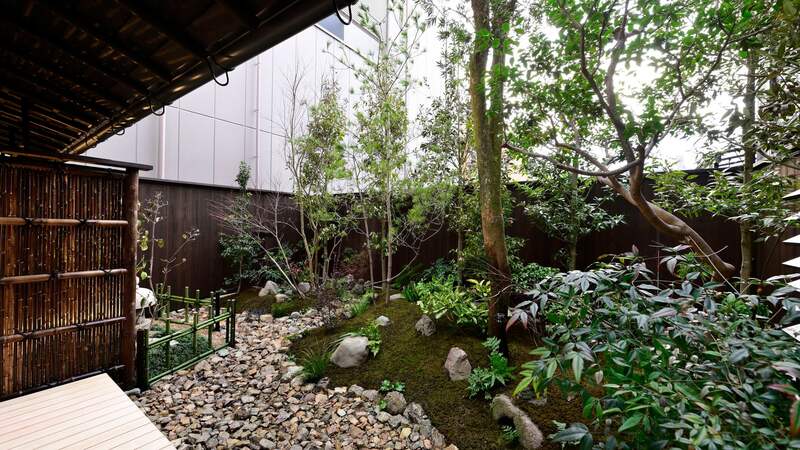 It sits in an ideal location with easy access from local tourist destinations such as Kyoto Gyoen National Garden. 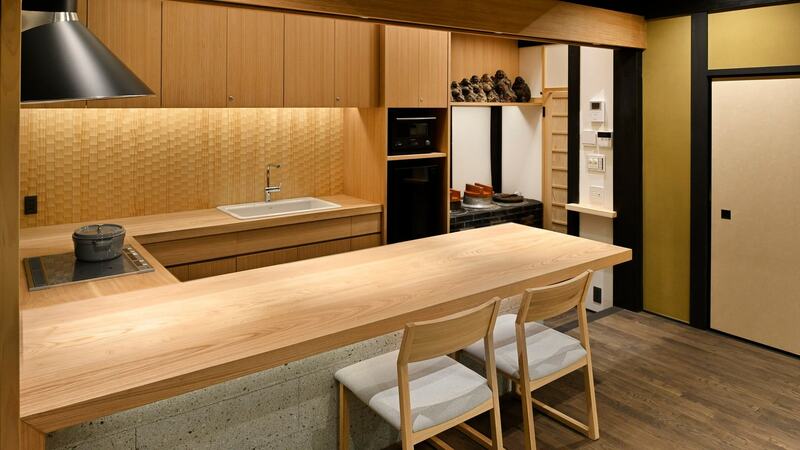 The 150-year-old building has two floors and has been recreated to create a ‘living’ space that gives guests a chance to feel like they are living in Kyoto. The kamado, a traditional wood/charcoal-fuelled cooking stove, has been kept as part of the refurbishment. The kitchen also has a fire box that allows steam from the stove to escape out of the kitchen. The dining room is connected to the kitchen and is fitted with a round table that seats eight people. The walls are also decorated with modern artwork that makes use of traditional techniques. 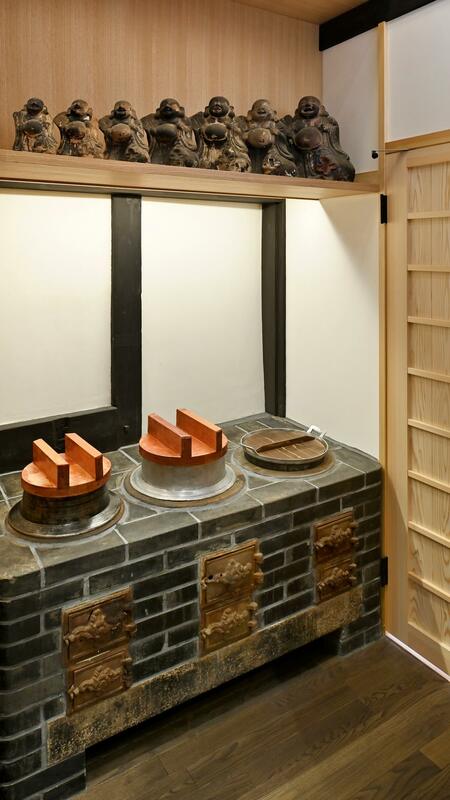 To further maintain that ‘traditional’ there are rooms with a charcoal hori-gotatsu to warm oneself up during winter, a hearth, a tearoom and more. Each element of the inn is catered to modern living while breathing the life of the old ways. The furniture is by Karimoku whose products are all handmade with carefully selected wood. 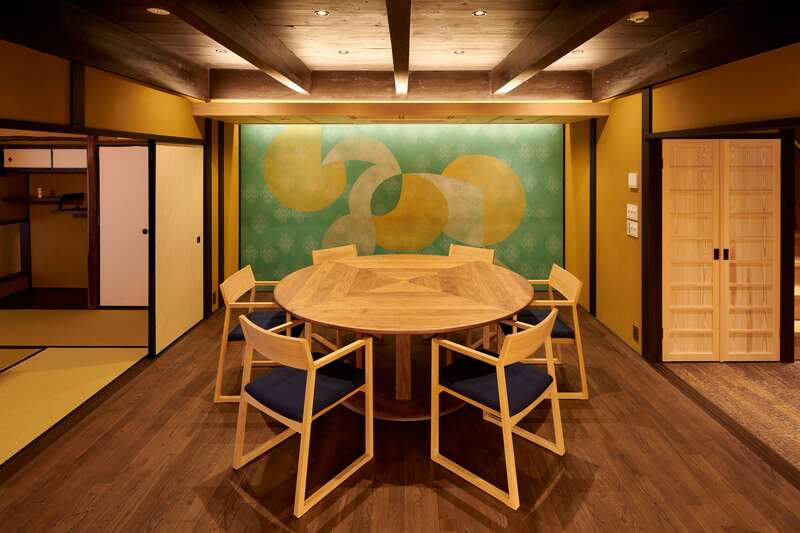 The round table in the dining room and low table in the traditional Japanese room are original designs made specifically for the inn and have that warm touch of beautiful handmade wood. 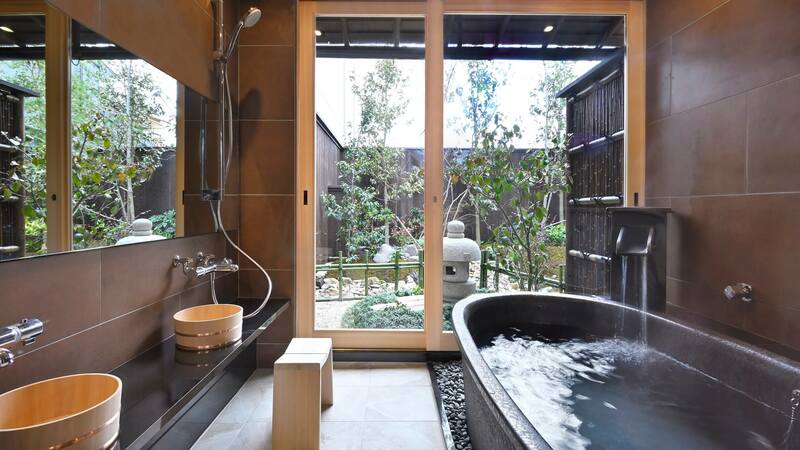 The bathroom has a roomy Shigaraki ware bathtub and shower. 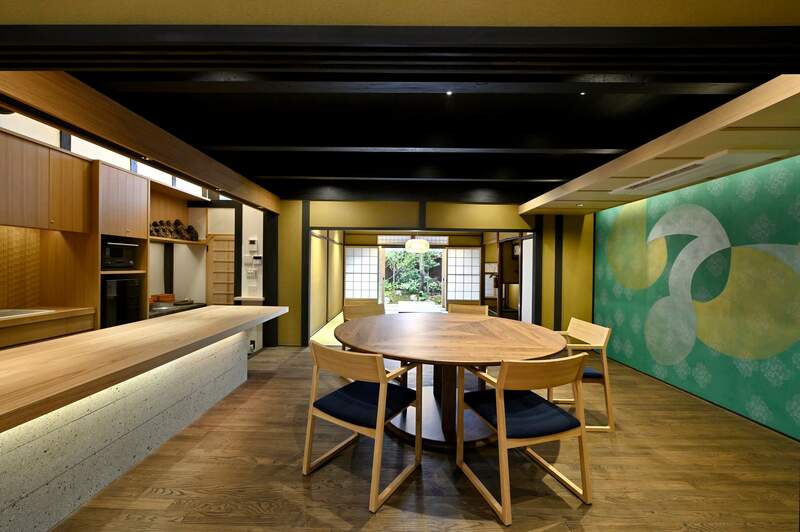 The inn also offers a host of services including baggage storage for suitcases and other items, a transport service, a guide on how best to enjoy Kyoto through the seasons, information on local shops and more. 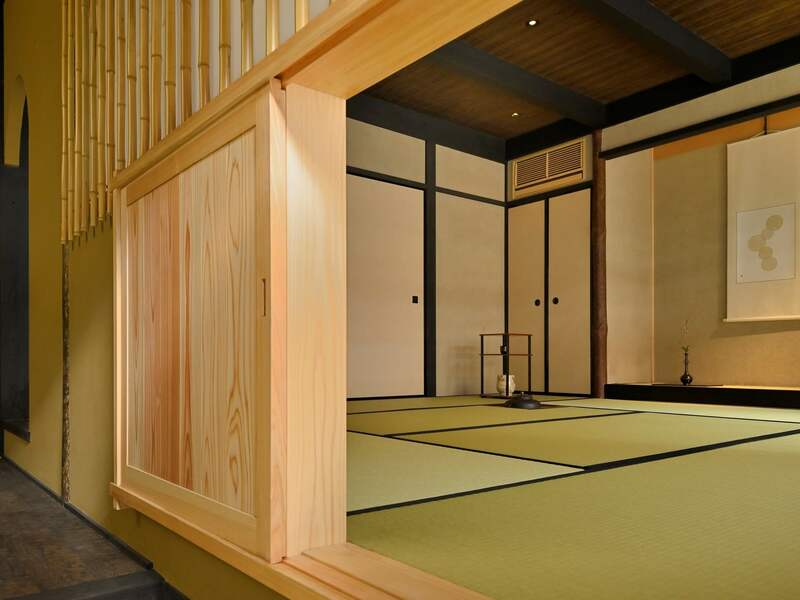 So if you’re planning a trip to Kyoto why not spend a few nights here?